There's a new fragrance on the block and it's coming from a brand who you would instantly associate with one of the iconic magazines for women - Cosmopolitan. Considering how many years Cosmopolitan have been in print, I'm very surprised by the fact that this is one of first side projects. 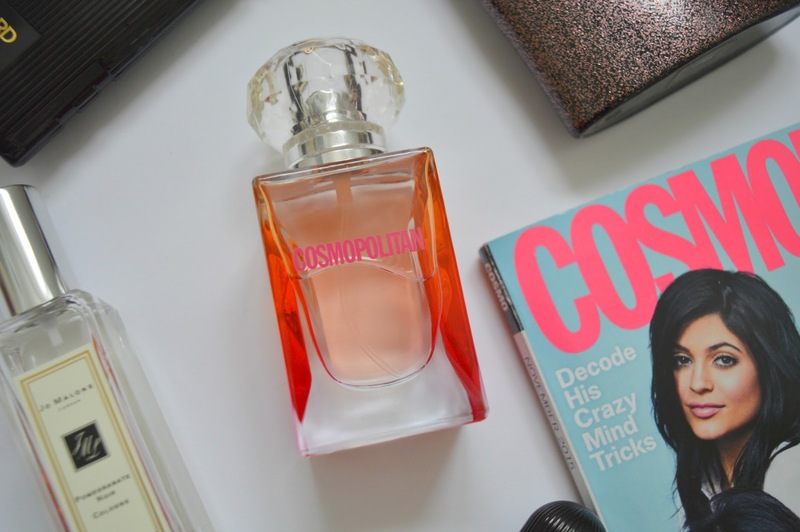 As the saying goes good things come to those who wait, I'd have to agree that Cosmopolitan have nailed it with their first signature fragrance. Titled simply Cosmopolitan, the fragrance has the same underlying values as their magazine - to empower, enlighten and inspire the modern day woman. Pretty hard hitting stuff - I think by that description, you've be expecting this fragrance to be very strong, heady and powerful, however it's the complete opposite. If you are a regular reader of the blog you will know how much I like strong powerful perfumes and this is the only fruity fragrance I actually own. Now as I'm useless as describing scents - I thought it would be best I actually use what Cosmopolitan themselves say about the fragrance - top notes of mandarin, bergamot and red berries, middle notes of jasmine, helitrope and pimento berries. The base notes is of patchouli, vanilla and tonka. However even though this fragrance is very fruity, it actually lasts on the skin for near enough a full day without reapplying, which for someone who feels like she can constantly apply perfume all day, this is a revelation. The scent is currently available at Boots and is also in 50 and 100ml sizes. What type of perfumes do you prefer to wear, let me know.